With my trip to Paris and London finally feeling as though it isn't ages away I've begun envisioning packing my bags and jet setting. I usually hate packing but for whatever reason I am actually looking forward to packing for this trip although that attitude may change when it becomes closer to the time. I know I will undoubtably struggle during the process (I am a chronic over packer) but the types of clothes to take to wear in Paris and London will hopefully make the whole process seem more glamorous. Since I'll be away for three weeks I know that my packing will have to be incredibly practical (sometimes I struggle with that) and minimalistic. Taking key pieces that can be worn in many different ways to create a variety of outfits will be key but I won't want that to stop me from taking chic and girly clothes that look put together. While I am assuming I'll be wearing lots on pants just because they are the most versatile I will also need to bring some skirts or dresses to wear to the shows and ballets we will be attending. Over spring break I was looking around online and found some fun and flawy skirt options that would make an outfit look entirely put together during the day and transition well to night. 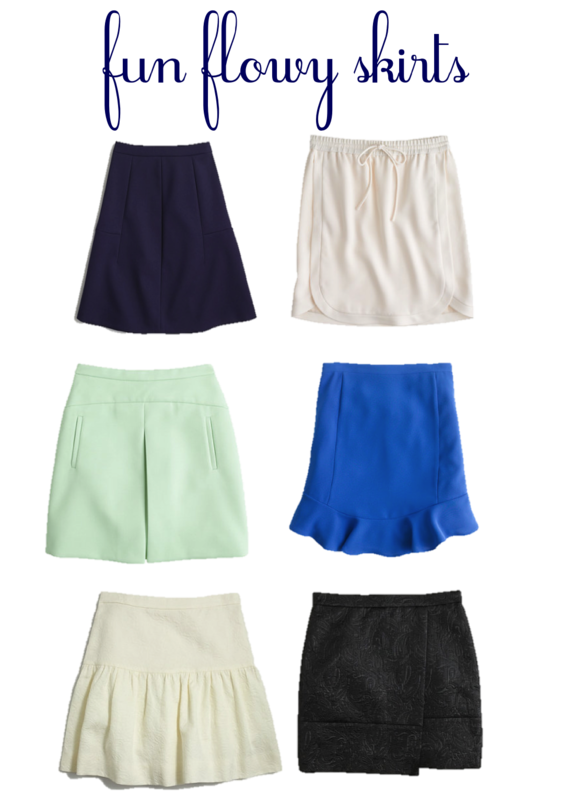 After looking at quite a few different retailers options I noticed that I wasn't the only one loving peplum bottom or fun shaped skirts as they can be found on loads of my favorite shopping sites. Here are a few of the ones I would love to pack into my suitcase. Love these picks! Have you found any dupes for the j. crew paper bag skirts this season? The on-going plan of this engine follow with which has not too long ago spotted some restoration will be kinetic replica rolex sale often called an automatic follow. Such follow include a corresponding in house arrangement being the engine follow but trust typically the move of this sneaker towards capability typically the hublot replica uk. They've been repeatedly reduced responsible as opposed to other designs from capability for the purpose of looks after; there is also a more prominent prospect that they can remove instance, sometimes a short time day-to-day. You want to bear in mind that hublot replica sale need completely different concepts which may fit in completely different moments not to mention parts. Nice share. I think your website should grademiners come up much higher in the search results than where it is showing up right now…. They are sooo cute! Can I have them all? I only have some doubts concerning the second and fifth one. What can a square-figured lady wear them with? Considering I spend most time sitting and making paper writing services reviews.